The 3D Fabrication and Design Inquiry Labs at SICE empower you to learn, collaborate, and create through hands-on activities. Our makerspaces are spread across SICE’s facilities and give you access to many types of machines and tools. Don’t know how to use the equipment? We offer training and guides to teach you. 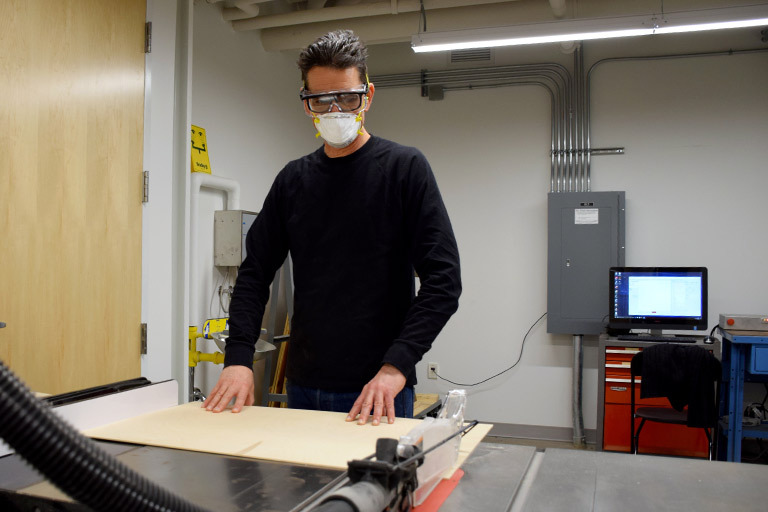 Christian McKay leads the 3D Fabrication and Design Inquiry Labs. If you have any questions, email makehelp@indiana.edu. This open, collaborative makerspace in Informatics East 120 can also be used by SICE’s partners at Indiana University and in the community. It houses a medium-format laser cutter, 3D printers, a vinyl cutter, hand and power tools, a library of hardware and software platforms, equipment for building and testing electronics, and machines for integrating electronics into soft materials. Located in Room 0101 in Luddy Hall’s basement, this lab has CNC machines for dirty fabrication processes like metal milling, plasma cutting, and wood routing. Its hand and power tools include table and compound miter saws, drill presses, and welding equipment. This digital inquiry and fabrication space on the fourth floor of Luddy Hall is for intelligent systems engineering students and faculty. 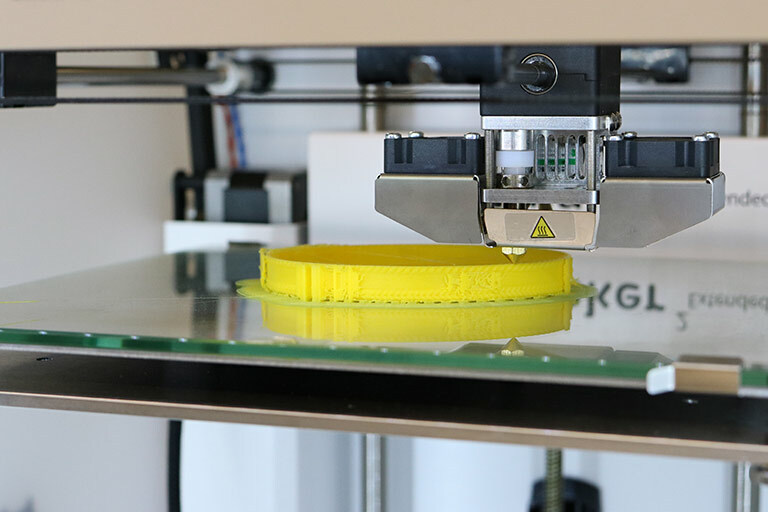 Equipment includes large-format laser cutters, a small-format CNC water jet cutter, FDM and SLA 3D printers, and equipment for building and testing electronics. 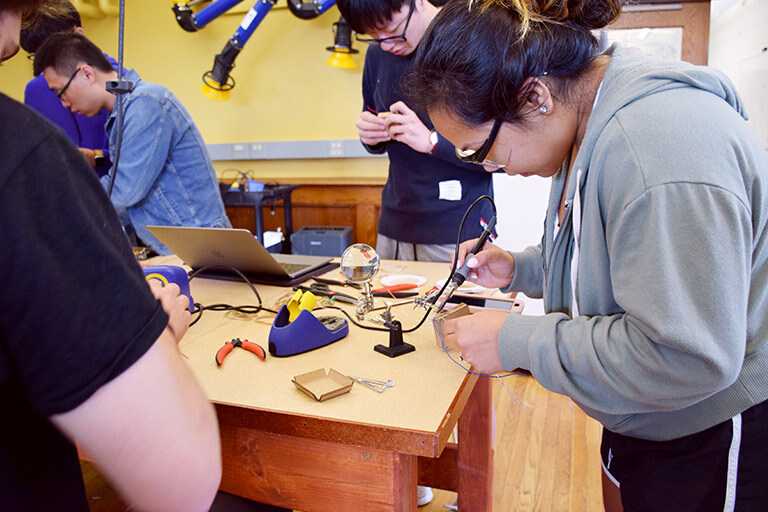 Students in the SICE Living Learning Center have easy—and exclusive—access to this makerspace in Teter Quadrangle, where they live. The Innovation Center has a laser cutter, a bank of FDM 3D printers, hand tools, and equipment for electronics assembly. MESH is used by faculty and graduate students in the Department of Intelligent Systems Engineering. MESH facilities include multiple research labs and a digital fabrication space: Bio WetLabs, DroneLab, NanoLab, NanoTower, and OpenLab. SICE and IU are part of the Make Impact Consortium, an MIT-led network of universities, companies, and public sector organizations that value and cultivate a culture of making.